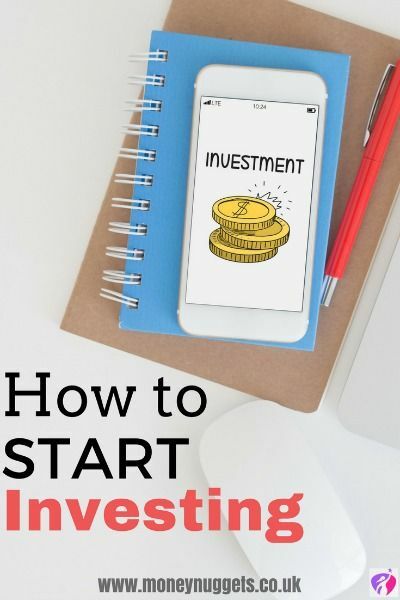 You are here: Home / Money Management / Saving & Investing / How Do I Start Investing (And Stay Invested)? How Do I Start Investing (And Stay Invested)? For many people, investment is a minefield. 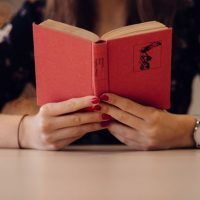 Risk, jargon, scaremongering news stories – all of these act as a barrier to most of us to learning how to start investing or getting involved with investing. 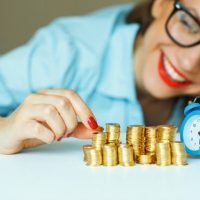 In fact, if it were not for the likes of Warren Buffett and his ilk – rich, successful people, showing us what can be done with a good investment strategy – we might be put off completely. There is no doubting though, when it comes to planning for retirement, i.e. for our future, or at least some longer-term dream, investing offers you greater potential for growing our money than a savings account. Pay off credit card debts and make sure mortgages or longer-term, asset-linked loans are under control. Get some cash in the bank for emergencies. Interest on credit cards is expensive. No stock market is going to be able to return more than you are paying the bank. So, the sooner you get the money into your own pocket, and out of theirs, the better your finances will look. ‘Buy low and sell high’ is a mantra we hear all the time. The problem is, no one knows what will happen with markets until after it has happened. Not even those rich, successful gurus I referred to above. And, sadly, what actually happens in markets is that most people buy high (because that’s when markets are most confident) and sell low (because people get scared in a downturn and run away). The best thing to do, therefore, is to just ignore all that background noise and get on with things. In the end, it is the amount of time you spend IN the market that matters, not when you got in and out. However, you do still want to minimise the risk that you happen to choose on the one single day when markets peak, to invest your money. Thankfully, there is one really simple hack you can use to do that. And it’s available to absolutely everyone: Regular saving. You don’t need to have a lump sum to get started, just a consistent amount of monthly income to spare. Because you invest on a series of different dates (rather than just one), you buy assets at a whole range of different prices. You therefore cannot fail but buy at least some of those assets at a lower price. Fidelity Investment ISA offers a flexible way to invest your ISA allowance in a wide range of investment options. You can start a regular savings plan from as little as £50, or with a £1,000 lump sum. Capital at risk. Click here to find out more. Your options for investment extend far beyond just company shares. Different funds and investment vehicles can also give you access to commercial property, gilts, bonds, commodities and some even more esoteric investments. You can buy all of these just in your own country (I’m based in the UK) or you can invest across the world. The thing is that each of these assets moves up and down in different levels of magnitude. And each has a different investment cycle. So, if one asset class goes through a difficult period, you should have others to help compensate. And even if they all have a bad day at the same time, they should not all perform equally badly. The key to you being a successful investor is to work out how comfortable you are with the different risks and then weave together a portfolio of those you like in a combination that suits your overall outlook. Did you know that over 50% of investors don’t know what they are paying in fees on their investment? 29% don’t think they are paying anything at all! Of course, everyone pays an asset manager something each year. If you take advice, you will also be paying something to the adviser. And those fees are justifiable – up to a point. This article is not long enough to go into this subject as far as we could. We will leave those details to a follow up article (coming soon). Suffice to say, though, always ask what fees you will pay. And make sure you shop around. Even apparently small differences – as little as 1% a year – can have a big impact. But if this really is your first investment, perhaps you shouldn’t be looking at anything too complicated anyway. If you want to get to know the market, start with a nice low cost ‘passive’ fund. For younger, UK investors, something that tracks the FTSE All Share, perhaps. For those who are slightly older or more cautious, there are several multi-asset, passive funds around, giving you bonds and property as well as those FTSE shares. After all, with a long-term outlook, the stock market is a pretty good place for your money to be invested. Unless you have a lot of money riding on this single decision, why pay away some of your precious investment return trying to beat it? Have you taken the plunge into your first investment experience? How did it go? 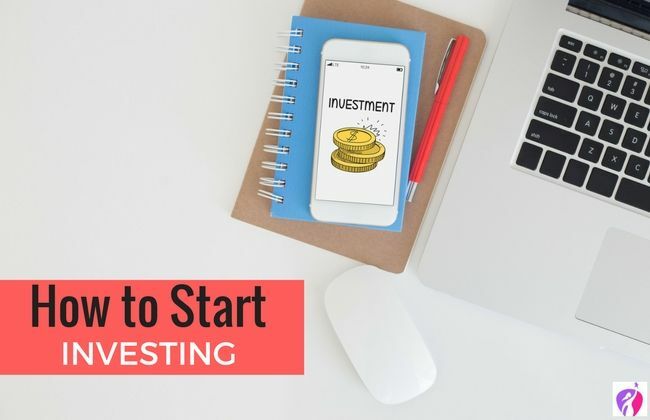 Share your tips below with those who are learning how to start investing. We’d love to hear them. Lesley James is Adviser and Director at the financial advice firm, Simplified Money Ltd. She is also Director of marketing consultant, Marketing Finance Ltd. She has spent over 25 years in the financial services sector and managed projects involving a whole range of different products and promotions. Lesley set up Simplified Money Ltd because she wanted to bring financial support to people who have been forgotten by the industry – people who cannot find, or are unable to afford the fees charged by traditional advisers. Lesley is a campaigner for greater transparency in industry fees and pricing and is an active supporter of the Transparency Task Force. Yes! I love this! 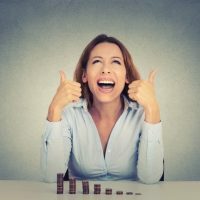 We as women tend to be more risk-averse, so I was naturally really put-off by the idea of investing. But how else is your money going to grow passively? I’m still getting out of debt and can’t heavily invest, but I do use the Acorns app to invest my spare change. I’m seeing some small returns after a few months and I’m excited to watch it continue to grow. Thankfully I have a couple of trustworthy friends who are independent financial advisers, and this is something they have already given me advice on. It is always good to be reminded of these types of investment opportunities. A handy little guide to have. Thanks! Great tips, these! One day we’ll invest, but first…. the rent needs paid, food needs purchased, car needs fixed… it never ends! A fab guide. I am not sure if I am brave enough to invest, maybe when my little ones are older!